Attention All Nature Lovers!! 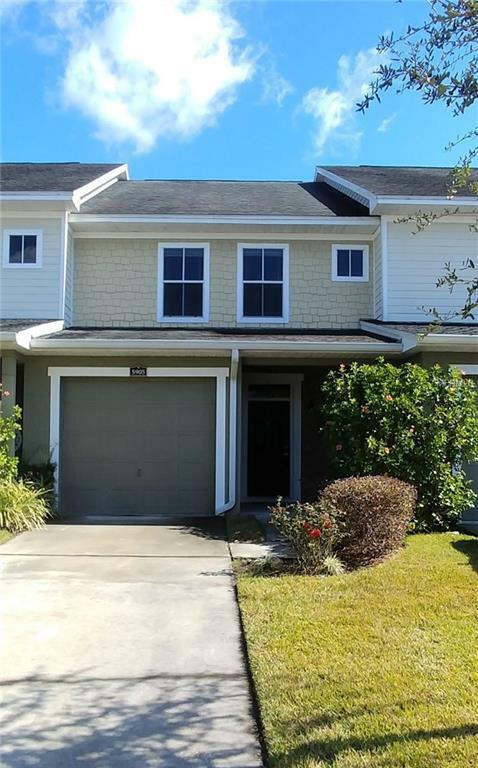 You will fall in love with this 3 bedroom, 2.5 bath, 1 car garage townhome with an incredible view of a large, mature pond and beautiful trees and vegetation. The open kitchen offers Stainless Steel appliances and Granite countertops. Low maintenance laminate flooring in all downstairs living areas and ceramic tile in all wet areas. More than ample storage with 2 linen closets, 2 walk-in closets, and an addtl closet with storage under the stairs. The laundry closet with included washer and dryer is conveniently located on the 2nd floor with all the bedrooms. Recently painted in a Neutral color. French doors provide access to the East facing, covered and screened lanai. The conveniently located and well maintained Wexford Townhomes neighborhood offers a gated community with 2 pools, playground, and dog park. Very close proximity to both I-4 and I-75 provides Easy Access to the Airport, Tampa and Orlando attractions, and all areas of Tampa Bay.